Interact with the original at The Washington Post. Screenshot below. Between 2004 and 2008, the D.C. Department of Health awarded approximately $80 million in grants to about 90 specialized AIDS groups, which along with medical clinics make up the front lines in the District’s fight against the disease. But while some provided a critically needed lifeline to the sick, others were wracked by questionable spending, practices and services. During those five years, one in three dollars earmarked for local AIDS groups went to these troubled programs, a total of more than $25 million. 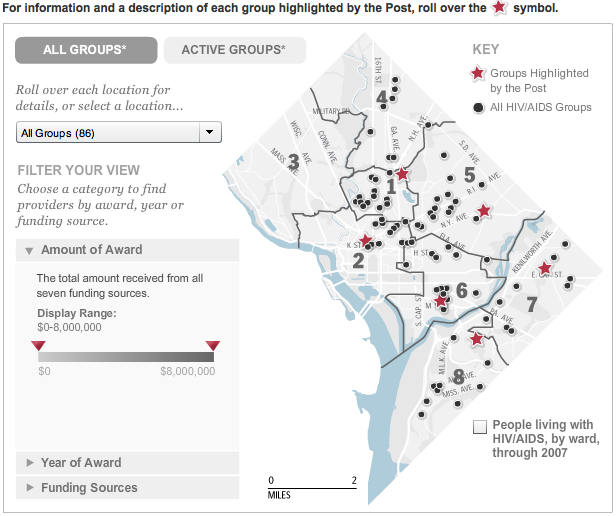 (screenshot above) Interact with the original at The Washington Post . 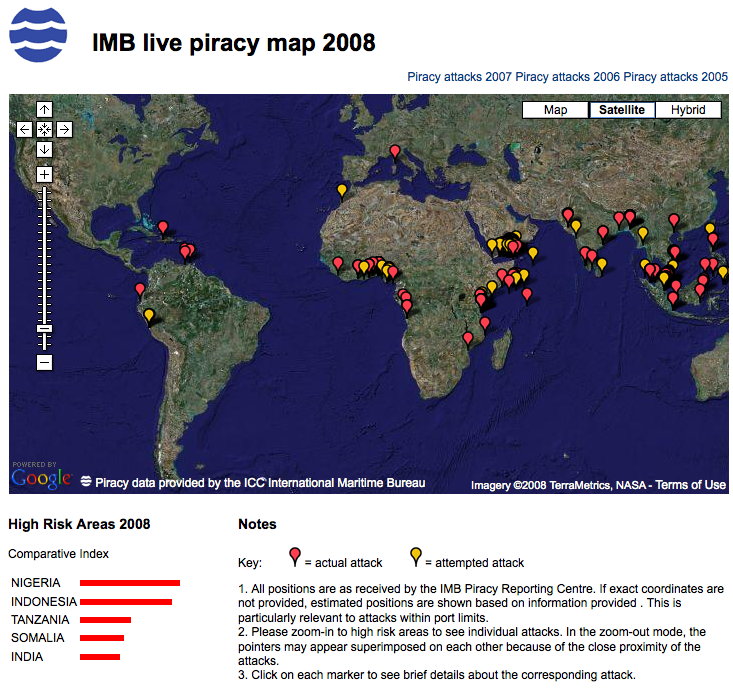 . .
Just in time for Halloween: The International Chamber of Commerce has a live Google mashup of global piracy attacks. I discovered this map when helping a colleague at The Washington Post map recent events in the Gulf of Aden and off Somalia. Read this story from The Washington Post with more background on the endemic piracy there. If you dig hard enough, you’ll discover a text file with all the data linked 2 deep in their source code. 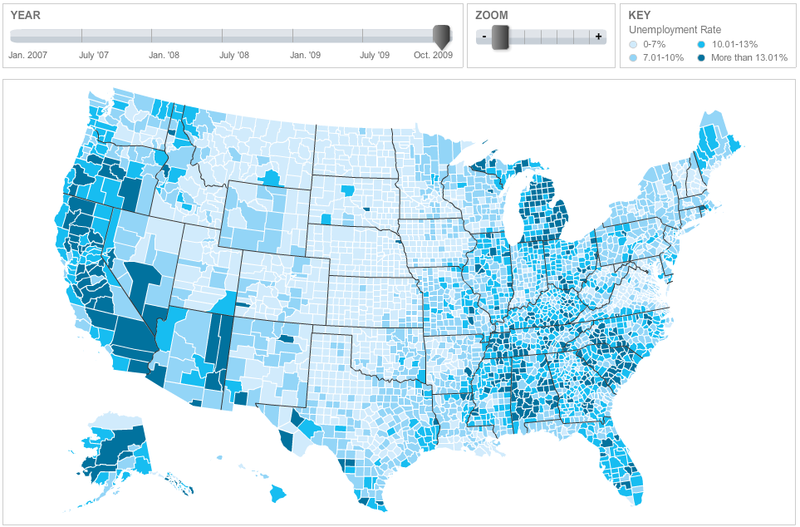 Their database goes back to 2005. Screenshot below. Live site here.